There’s a petition to award the Presidential Medal of Freedom to Vin Scully. 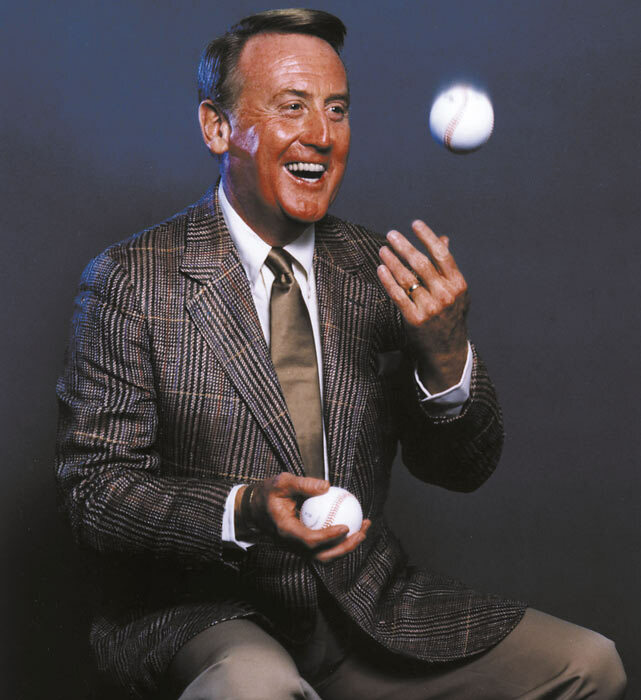 Vin Scully, is quite simply, a national treasure. This year marks his 67th and final season as a Dodgers broadcaster, starting his career when they were the Brooklyn Dodgers in 1950. He is our national pastime’s greatest ambassador, an educator who imparts fans with the wealth of knowledge about the game and its players that he has accumulated over his illustrious career, and the voice of not just Dodger baseball, but all of baseball. No person living today more perfectly symbolizes what is great and admirable about our national pastime, and for this, we request that President Obama honor his indelible contributions to American culture with the Presidential Medal of Freedom. The petition has a goal of 100,000 signatures by May 15. Since it was created today, there’s a long way to go. This entry was posted in JP on the Dodgers, Vin Scully and tagged Vin Scully by J.P. Hoornstra. Bookmark the permalink.